We are dedicated to providing a place for students in Junior High and High School to connect with God, with other students, and with committed leaders. We are dedicated to seeing students grow closer in their relationship with Jesus and equipping them to be the spiritual leaders of tomorrow. We believe that you can't do life alone, and that our students are at a unique time of life where they can grasp the Gospel and the impact of having Jesus in their lives. We're here for each other. 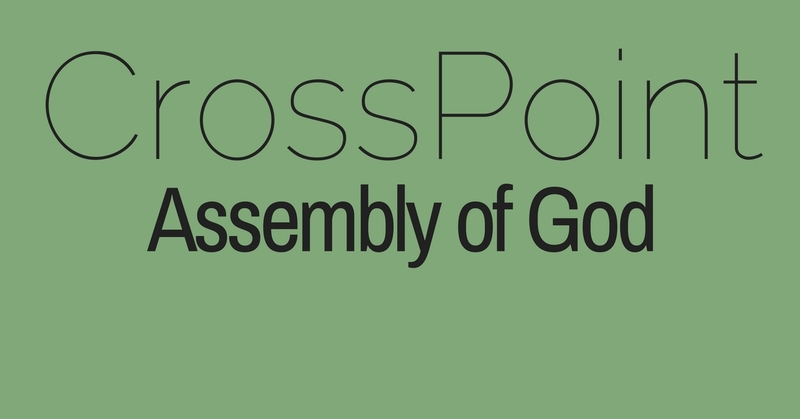 All students grades 7-12 are welcome to join us at CrossPoint Assembly Wednesday nights at 6:30 pm, September - May. We encounter God through relevant worship and creative sermons. Come join the fun & see how God moves! Our teen Sunday School meets at 9:00 am in the youth room on Sunday mornings. It is important to our leaders to invest and equip this younger generation with knowledge and sound biblical teaching. This ministry is specifically designed to grow and train teen leaders, 6th-9th grade, for Christ. Timothy Club is made up of kids (with parent or guardian approval) who learn to use their talents and time to serve the ministry and mission of CrossPoint Assembly through hands-on ministry. It is our desire to see our youth take their faith and talents and to minister to the Lord and to other. Uniquely designed for children 2 yrs-6th grade where the Bible is taught in a creative and relevant way allowing children to grow in their relationship with Jesus.